I got this burgundy Guess bag yesterday and can’t wait to wear it! Isn’t it gorgeous?! Thank god for the seasonal sale in de Beijenkorf!! 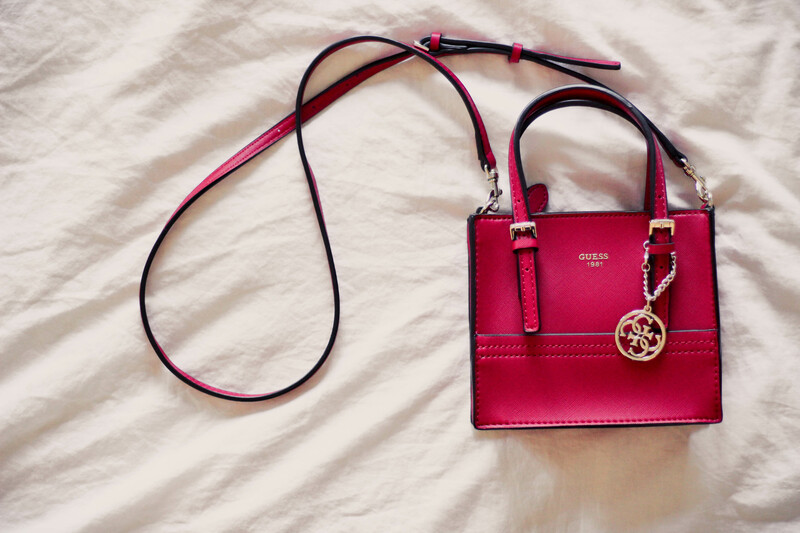 So cute and I love the keychain on it, great addition. This one looks so gorgeous I absolutely cannot take my eyes off. But does it have other colors or just this one? Very nice. Can you please provide me with the code or the reference number for this bag?